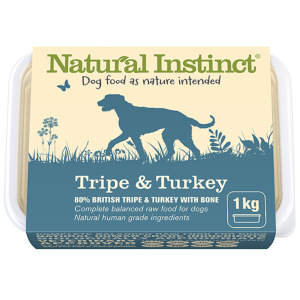 Made with 40% British beef green tripe and 40% British turkey, with usual fruit, vegetables and nutrients, this food is a firm favourite with all dogs. Most dogs seem to love green tripe, so this product can be an excellent way to get an otherwise fussy dog to eat. 'My boys' (Irish Setters) love it!